A golf ball acquires spin when it is hit. 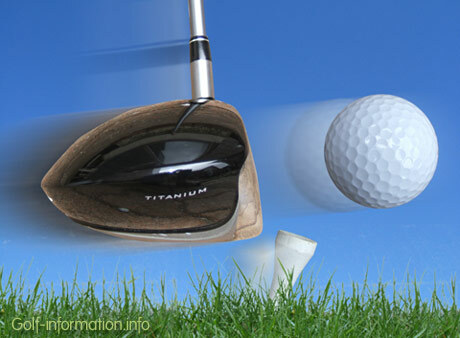 Backspin is imparted in almost every shot due to the golf club’s loft (i.e. angle between the clubface and a vertical plane). A spinning ball deforms the flow of air around it and thereby acts similar to an airplane wing; a backspinning ball therefore experiences an upward force which makes it fly higher and longer than a ball without spin would. The amount of backspin also influences the behavior of a ball when it hits the ground. A ball with little backspin will usually roll out for a considerable distance while a ball with much backspin may not roll at all or in some cases even roll backwards. Sidespin occurs when the clubface is not aligned perpendicularly to the direction of swing. Sidespin makes the ball curve to the left or right, a hook or slice respectively for a right handed player; this effect can be made use of to steer it around obstacles or towards the safe side of a difficult fairway. However, it is difficult to control the amount of sidespin, and many poor shots result from uncontrolled or excessive spin that makes the ball curve sharply. 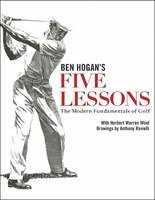 An extremely well-written book on golf equipment technology for the everyday golfer.